This website is a personal one and not affiliated with any governmental organization. 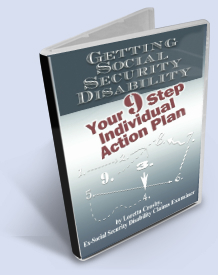 The editor is an ex Social Security Disability Examiner who is sharing information, which is not guaranteed to be currently valid or even correct. The information is not intended to be construed as legal advice regarding how to proceed with any social security disability claim, and individuals should seek competent advice from their designated disability advocate/representative or legal counsel if they have questions. Links to other sites from this site are not intended to be endorsements of any product of service, but are listed as a convenience to our readers.